On a mental level, Lu Jong helps us overcome negative emotions like anger and craving in order to achieve emotional balance and increase our energy. Through the exercises of Lu Jong we can influence the mind in such a way that it becomes free and compassionate. Our well being, awareness of our body and inner sensitivity, as well as our power of concentration and clarity are strengthened. 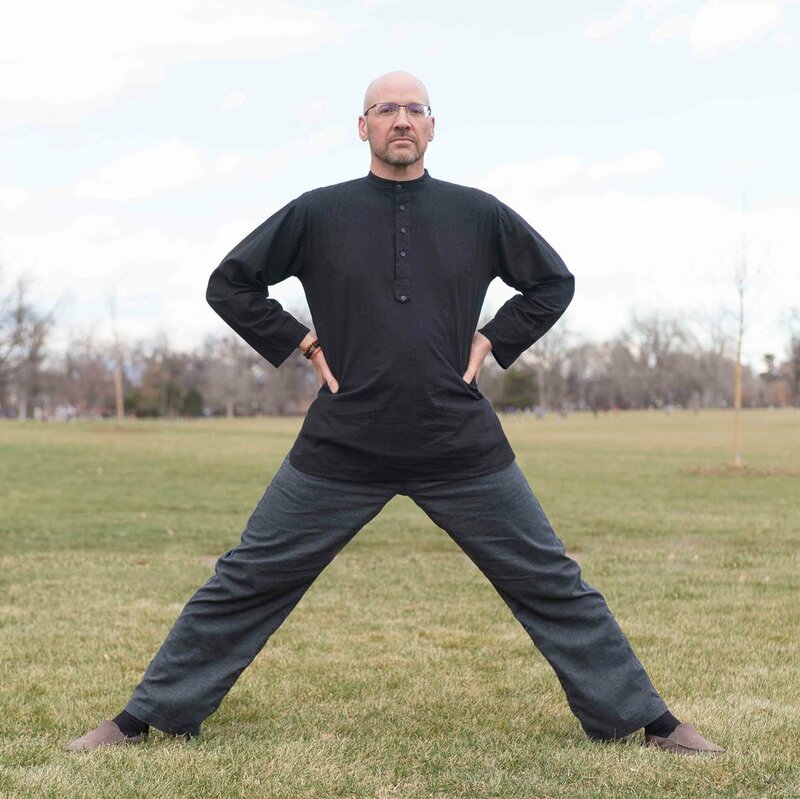 This form of Lu Jong originates in the lineage of Tulku Lobsang, who introduced the practice of Lu Jong to the West. Prior to this, he received many years of teachings from masters of different Tibetan Buddhist schools. In this way, he was able to collect these precious exercises and modify them to adapt to Western needs. The result is an extensive program of physical movements, which bring our bodies and minds into balance. The practice of Lu Jong is suitable for all ages and physical abilities. While the movements of Lu Jong are simple, they can surely change your life. The Five Elements open the energy channels in the body, helping purify and balance the five elements of space, earth, fire, wind, and water. Each of the elements is associated with a positive emotion that can become a negative emotion when deluded. The Five Elements are practiced first in the Lu Jong series, helping to prepare and open the body for the other movements. The Five Body Parts focus on the exercising the joints and the musculoskeletal system. The Five Vital Organs movements benefit the heart, lungs, liver, spleen, and kidneys by providing an internal massage. These movements bring increased blood flow to the organs, helping to oxygenate and revitalize them. The Six Conditions movements focus on benefiting common physical and emotional ailments. These movements, along with two additional movements, exercise the full body. To give you an idea of the benefits of a Lu Jong practice, the Five Elements movements are described below. The Tibetan name of the movements are given in italics, the English translation is given in plain text. This is the first movement of the Five Elements group. It opens the navel and heart chakras, balancing the energy of both, and allowing the space element (Tib: Namkha) to open within the body. The early Tibetans based the movement on the motions of the Tibetan goose. The goose has the ability to separate milk from water while drinking. In the same way, this movement helps us to create space and openness in our bodies. This space leads to a sense of balance and equanimity, and provides an opening for the other elements to move. The second movement takes its name from watching the yaks cool themselves in the hot sunshine of the Tibetan plateau. The yaks will dig up cool earth with their horns, then rub their shoulders in the ground, spreading a layer of cool earth over their backs to keep cool. This is the first movement opening the navel chakra, bringing balancing the earth element (Tib: Sa). When the earth element is out of balance, the emotions of pride and arrogance can become prominent. Bringing the earth element into balance creates a sense of grounding and calmness, and provides a stable base for the rest of the movements. The next movement in the series takes its name from watching wild horses running on the Tibetan plains. This movement focuses on opening the heart chakra and balancing the wind element (Tib: Lung). When the wind element is balanced and purified, the emotion of love abounds. When deluded, the element gives rise to the emotion of jealousy. The antidote to jealousy is rejoicing and appreciation. This can be an inward appreciation of the self and the body, it can also be an rejoicing in another's gain. Falcons fly high towards the sun, surveying the land beneath them for prey using their keen eyesight. They turn and dive, reaching speeds close to 200 miles an hour. Mount Kailash appears to rise from the rivers formed from the snow melt from the peak. To the early Tibetans, these rivers appeared to divide the land into four continents. The final movement of the five elements sequence returns to the heart chakra, this time balancing and purifying the water element (Tib: Chu). The pure quality of the water element brings the emotion of selflessness, while the deluded quality gives rise to attachment.